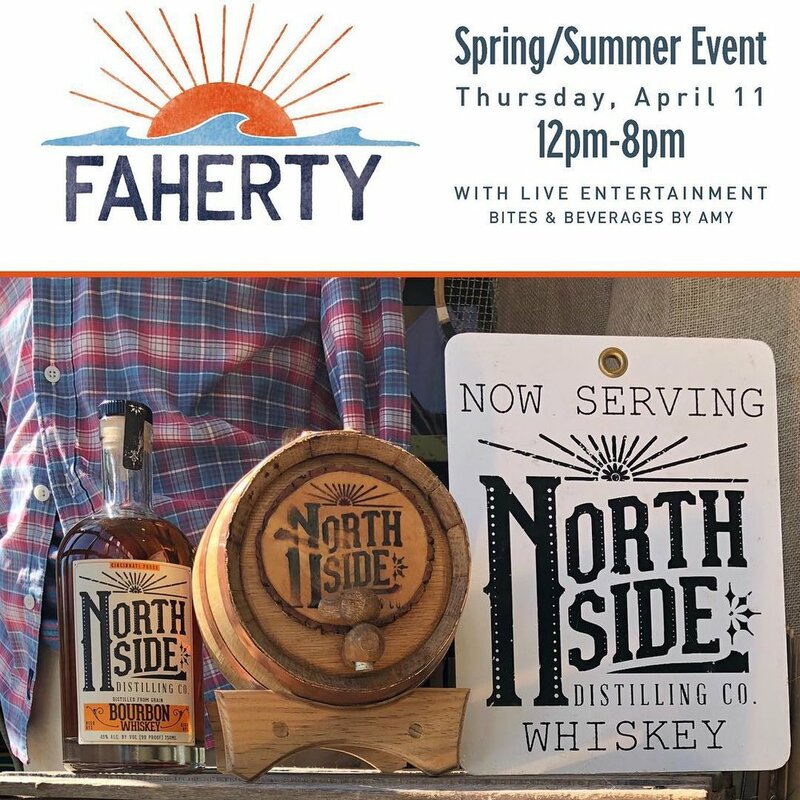 Please join Mike Faherty, our Friends at Northside Distillery, and the Trevor Furbay team this Thursday, April 11, 2019 10am-8pm for fun, light bites, specialty drinks, music, shopping, and lots of Faherty themed fun! FREE GIVEAWAYS and FREE FAHERTY BLANKETS with purchase of $300 or more. Hope to see you there!